Both fought elections on the steam of their dwindling family name and as representatives of political institutions facing national rejection. 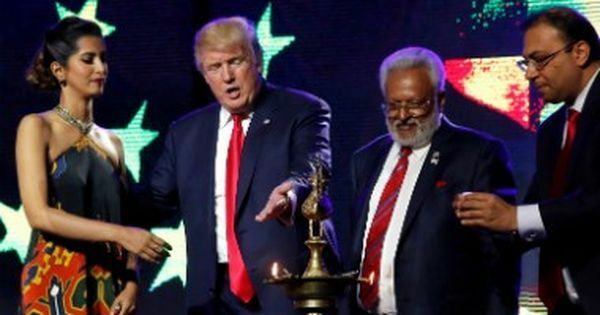 The campaign of Donald Trump – and now, his election as the next US president – has been and will continue to be compared to the success and political beliefs of Prime Minister Narendra Modi. The comparisons are easy to make, and not altogether inaccurate. It was no surprise that Modi demonetised certain rupee notes on the same day Trump won at the polls. The rise of the far right, from Modi to Brexit to Trump, is a global phenomenon. The success of the far right, however, only offers a partial account of the worldwide problem we all live with. In the US, as in India, the success of the far right has as much to do with the failure of the Democratic Party and the Congress as it does the Republicans and the Bharatiya Janata Party. Rather than simply declare that Trump is the American Modi, perhaps we should also ask if Democratic presidential nominee Hillary Clinton was the American Rahul Gandhi. Both candidates, in 2014 and 2016, ran lacklustre campaigns. They ran on the dwindling steam of their family name. Gandhi and Clinton were largely out of touch with the populations they claimed to represent. Both of their campaigns were out of date, appealing to concerns of an earlier time and of a different population. Watching the Clinton campaign, it was hard not to imagine when, two years previously, Rahul Gandhi had worn a crisp white kurta to campaign in a muddy village field. The self-assuredness with which the Congress and the Democratic Party put forward their nominees is, in retrospect, incredibly embarrassing. Moderate-centre parties played it safe while the far right party played a riskier game, and in both cases – as well as with Nigel Farage’s and Boris Johnson’s Brexit – the risk paid off quite substantially. The day after the US election, the Democrats are revisiting, painfully, their rejected option of Bernie Sanders. To be clear, there are major differences between Gandhi and Clinton. For all of her flaws, Hillary Clinton was one of the most qualified candidates for the position. Rahul Gandhi was not. Although Modi’s lead was fairly clear in the weeks leading up to the election, Trump’s was not. Nevertheless, there is a telling similarity not only between the lazy politics of the moderate-centre parties, but the national rejection of what those moderate-centre parties represent. Globally, we have seen a turn away from moderate democratic institutions and towards extreme right positions. This, I think, is less a function of the unmitigated success of the far right and more of a rejection of institutional, centrist political values. This is a more difficult story for the moderates and the moderate left to tell themselves, but it is an uncomfortable truth. There has been a global loss of faith in state institutions and the expertise that those institutions were once believed to embody. In other words, Rahul Gandhi represented the accumulative authority that the Congress believed it possessed, and the concomitant faith in the institution of the bureaucratic welfare state. Hillary Clinton represented slowly acquired knowledge, and the related belief that facts and expertise were values in the service of public welfare. Clinton and Gandhi were not running as individual leaders, they were running as representatives of institutions of power. Voting against them – rather than voting for Modi or Trump – must be understood as a vote against institutional politics and the knowledge political institutions collectively possess rather than a vote necessarily in favour of far right regimes. What is sweeping the globe, from India to the US, is not simply far right xenophobia – though that is one of the most serious and pressing issues of our time – but the simultaneous and devastating repudiation of centrist institutional knowledge and expertise in favour of individual authority. In this sense, the ways in which the Congress and the Democratic Party, as well as the left more broadly, were most out of date was that they retained, even if cynically or lazily, the belief that people would vote for the continuation of the welfare or republican state rather than for their own private (and often misguided) interests. The inability of the Congress and the Democratic Party to see this was their first failure. Most frighteningly, the BJP’s and the Republican Party’s dismissal of institutional authority has been the concomitant ratification of individual authoritarianism. What began in the postcolonial world has now reached the West. This is the new, and more accurate, definition of “colonial belatedness”. Amitav Ghosh, earlier this year, showed how this is certainly the case with global climate change, and it has also been true for acts of terror. Now it is true, once more, for the rise of the far right and the rejection of centrist political institutions. The US has finally caught up to India. Had the US been paying more attention to Clinton’s similarities with Gandhi rather than Trump’s similarities with Modi, they might have been able to put a small stop in the spread of xenophobia and ethnic nationalism. That is too late now. J Daniel Elam is an assistant professor at the University of Toronto who specialises in theories of World Literature, with a specific focus on twentieth-century South Asian literature and political writing.